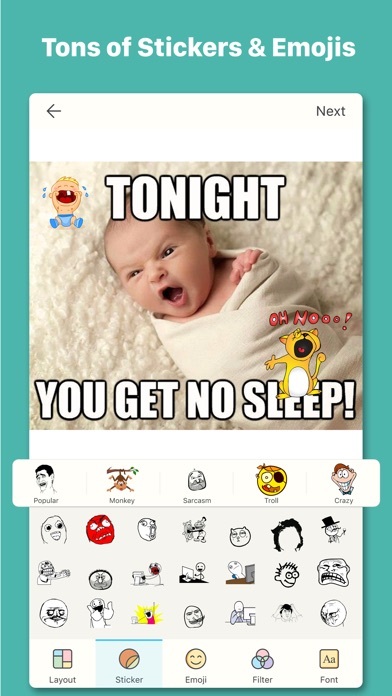 #1 Meme Maker App! 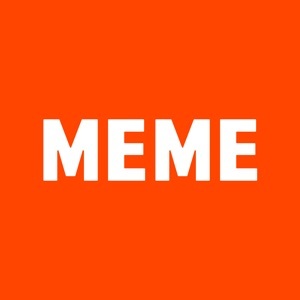 Best Meme Editor to Make Memes • Add Funny Captions to Your Image & Share with Friends. • Huge Collection of Meme Styles, Fonts & Backgrounds. • Tons of Trending Meme Images. 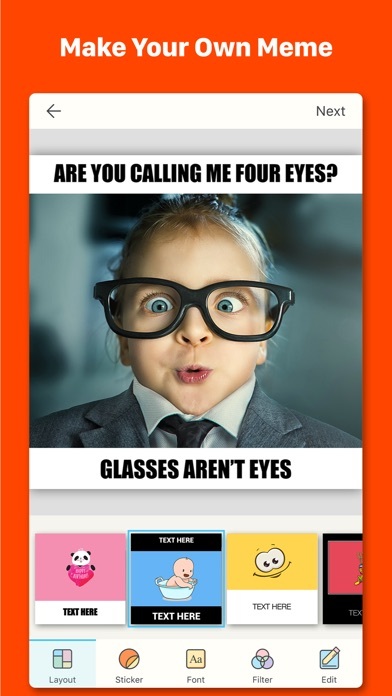 Features: ======= • Classic & Trending Styles of Meme Layout. • Stylish Meme Backgrounds Collection. 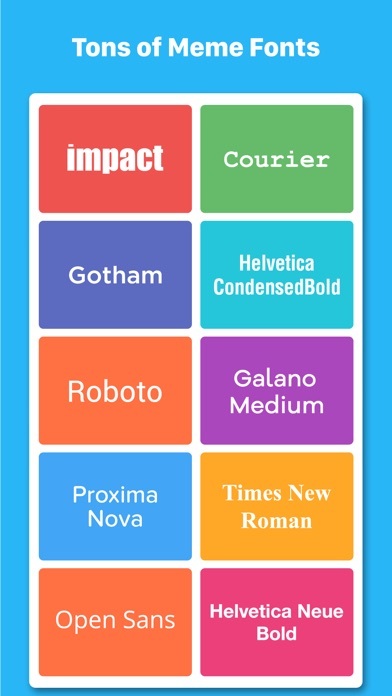 • Popular Meme Fonts ( 30+ Fonts ). • Huge collection of Funny Meme Images. 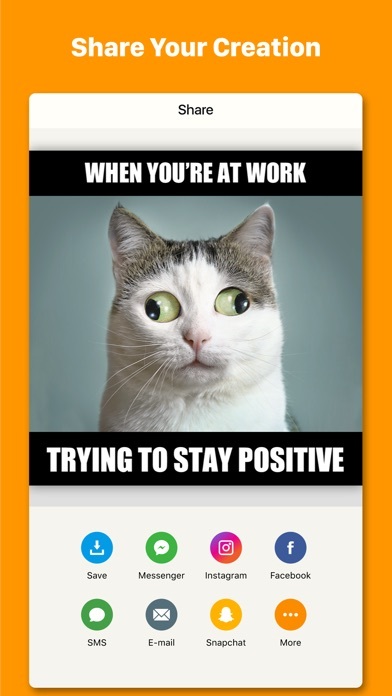 • 500+ Funny Stickers & Emojis, • Popular Meme Characters. • 100+ Stunning Filters & Effects. • Add your own Custom Watermark. • Share at Facebook, Instagram, Twitter & Other Social Media. 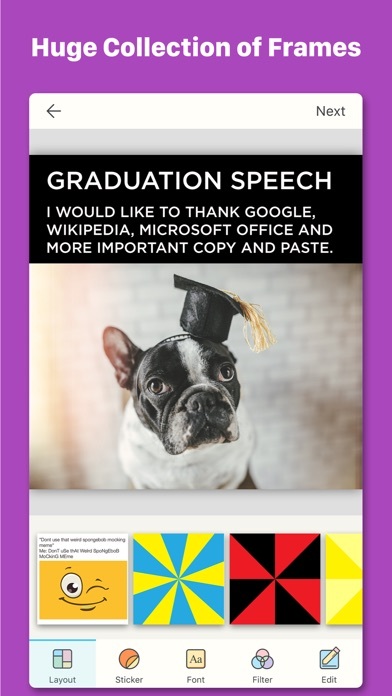 Text Edit: ======= • Change your Caption Fonts • Change Text Color • Resize Text as you Want • Add Shadow • Adjust Text Alignment Premium Features (Paid): 1. Premium Layouts & Styles 2. Premium Stickers & Emojis 3. Premium Fonts 4.Premium Filters 5. Ads Free Version Download & have fun while its free! Found any bug? or Have any suggestions? or Wanna new features? Please mail us at: [email protected] Keep in touch to receive all updates. Thank You.